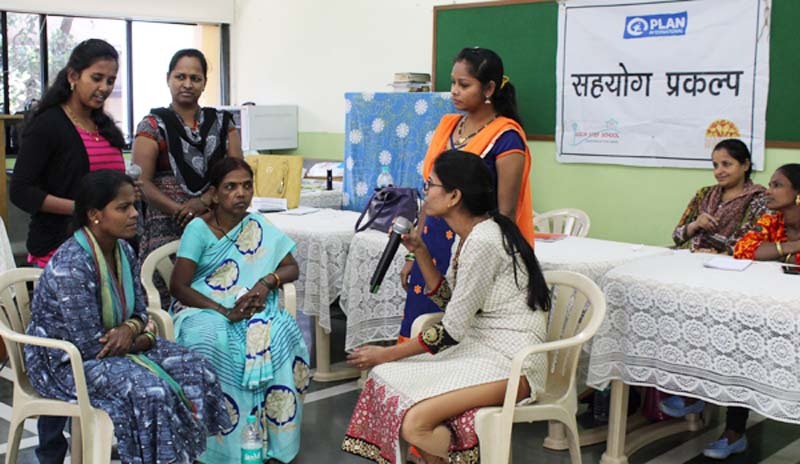 CCDT’s Sahyog program community organizers participated in a training workshop at St Pius College, Goregaon, from 23rd-25th January 2018, that was facilitated by Dr. Gopal Panghe, a UNICEF consultant.The workshop focused on maternal and child health and participants learned about prenatal and child care, emergency medical services, growth monitoring, malnutrition, injury prevention, and services to children with special health care needs. Dr. Panghe incorporated various interactive techniques to demonstrate how community organizers could enhance maternal and child health in their project areas, effectively provide conception-counseling to young couples, as well as facilitate postnatal care. Participants performed a skit that reflected new learnings from the workshop and portrayed several misconceptions that families often hold about pregnancy, as well as how to effectively debunk these myths. Through this interactive medium, Community Organisers demonstrated each stage of support provided to pregnant women and lactating mothers, right from registration and birth preparedness, to antenatal and postnatal care. The role plays enabled program staff to practice interpersonal communication techniques that they can employ especially in cases of high-risk. During the discussions and experience sharing sessions, it was noted that when community organizers shared empowering stories of the positive impact of antenatal and post-natal care, during their home visits or community programs, these stories served as catalysts for new mothers — ensuring that they take better care of their health during and post pregnancy.